Admit it: If you see yourself getting married in the future, you've probably planned your dream wedding to a T, and nothing but the perfect diamond engagement ring will do! 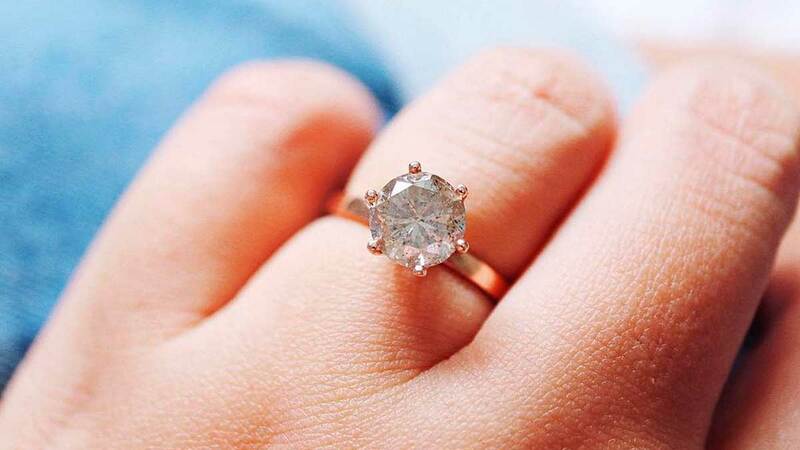 But if we told you that imperfect diamonds were just as beautiful, would you believe us? Little White Pouch is a custom jewelry shop that specializes in creating imperfect, aka "salt-and-pepper" diamonds! According to ABS-CBN, they're around 30-50% cheaper than a regular diamond, because of the white and black inclusions in the stones (hence the salt-and-pepper moniker). The shop isn't taking custom-made orders in January, but their ready-made items are still up for sale! Can you see the specks in the designs below?